Students who currently live in University Housing are eligible to participate in the returning resident housing process for the following academic year. Space is limited. Residents are not guaranteed on-campus housing and the variety of housing beyond the first year is limited. Rooms are reserved in Stockwell, North Quad and Northwood III and in Michigan Learning Community spaces. There is limited availability in the Betsy Barbour Residence, Martha Cook, Helen Newberry Residence and Bursley Hall. Approximately half of the available housing is single-room types. If you currently live in a University Housing residence hall or apartment you are eligible to return next year. University Housing makes every effort to accommodate both new and returning students. We are limited in the number of spaces we can offer returning undergraduates. Are you returning from an internship, study abroad program, or off-campus academic co-op program? Would you like to return to living on campus? Please submit the Return from Study Abroad, Co-Op Programs or Internship form. You are welcome to apply, but please understand current residents have first priority in the selection process. There is no guarantee on-campus housing will be available. To see when your application process begins, consult the timeline. January 14, 2019 Registration opens 9:00 am. January 14 Roommate Finder opens. January 16 Gender Inclusive Living Experience interest form is due by NOON. January 16 Suite Request forms due by NOON at the Housing Information Office. January 16 Registration closes at 11:59 pm. January 17 Room/Apartment Locator opens 9:00 am. January 24 Pick your Residential College or Honors room. February 6-7 Pick your room or apartment. General room selection for singles and doubles. Available only to students with signed contracts for Fall 2019/Winter 2020. Register in person at the Housing Information Office between 8:30 am - 3:30 pm. Available to off-campus students and those who missed the earlier date. Register in person at the Housing Information Office between 8:30 am - 3:30 pm. The returning resident process begins in January. When registration opens, you’ll find a registration link on this page. Fill out and submit the registration form. That is how you let us know that you’d like to live on campus and that you’d like a selection time. After registration closes, you will receive an email with your randomly generated selection time. (Your selection time is the time when you can log in and choose from the available rooms/apartments.) On the day of your selection time, log in and select from the available rooms/apartments. In order to choose from the widest selection, log in as close as possible to your appointed selection time. The Roommate Finder is open during registration. If you find a roommate via Roommate Finder, or you already have a roommate in mind, both you and your proposed roommate need to request each other on the registration form—by name and U-M ID number. You will be issued the same selection time. At your selection time, go online to look at options, agree upon the open double you both want, and both of you select it. Once you select a room/apartment, your contract will be due within 24 hours. If we assign you a room/apartment, your contract will be due within 24 hours of notification. Each student needs to submit their individual contract on time, even if they are sharing a room, apartment or suite. We have singles, doubles, triples and suites available for returning students. You’ll find specific information for each option below. If you live in a Theme Community or Michigan Learning Community, would like to live in Martha Cook or Henderson House, or have medical or chronic health accommodation needs, please see the Specific Accommodation Options section below for detailed directions. If your situation is not reflected in any of the Specific Accommodation Options, follow instructions for General Accommodation Options. The majority of rooms are available in Stockwell and North Quad. There are a few rooms available in Betsy Barbour, Helen Newberry, Martha Cook and Bursley Hall. There are some apartments in Northwood III. A limited number of triples are available and are assigned by housing staff. When filling out your registration form, you and your proposed roommates should indicate that you’d like to live in a triple. You should also request each other as roommates on the form. If you would like to apply for a suite, be sure to register by the date indicated in General Overview above. Then work with your intended roommates to complete the suite request form below. We can only consider forms that are filled out completely (including signatures) and turned in to the Housing Office by noon on January 16. Still have questions? Find out more information about gender inclusive housing options. Students wishing to live in the Gender Inclusive Living Experience (GILE) Theme Community should indicate their interest by filling out the GILE interest form by January 16. Prospective residents interested in living in Henderson House can submit an interest form at their earliest convenience. You must attend one information session hosted in the house. The dates are February 8 (10am), February 17 (5pm), March 17 (5pm) and March 18 (5pm). To register for a session, please visit sessions@umich.edu. If you are unable to attend one of the four sessions offered, email hsg-resed-hendersonhouse@umich.edu to request an in-person or phone conversation with one of the Henderson House staff members. 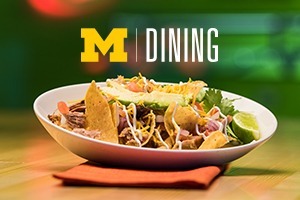 For any other application or assignments question, please email hsg-assignments-legacy@umich.edu. Students wishing to live in the International Impact Theme Community in North Quad should indicate interest by choosing a room in North Quad. Learn more about Theme programming, expectations and International Impact by visiting the International Impact page. There are a limited number of rooms reserved for returning Honors students in Honors Housing. You will receive an email with a selection time slot on January 22. This time slot is the only opportunity you will have to select your own room. Returning Martha Cook residents: Talk with the Martha Cook staff about the registration process. If are new to Martha Cook, fill out the Martha Cook Interest Form and then register as indicated in General Overview (above). You will receive a selection time (good for Martha Cook rooms only) via email. Accommodations for first-year residents with conditions that do not fall under the Americans with Disability Act (ADA) serve as a bridge to assist students with their transition from home to college. You will receive an email from the Health Disability Coordinator by January 22 if you meet the ADA threshold. We will work with returning residents with a legally qualifying disability to meet their individual needs and will engage in an interactive process to determine reasonable accommodations. All residents, including those requesting placement based on medical need, must register between January 14 – January 16, 2019. 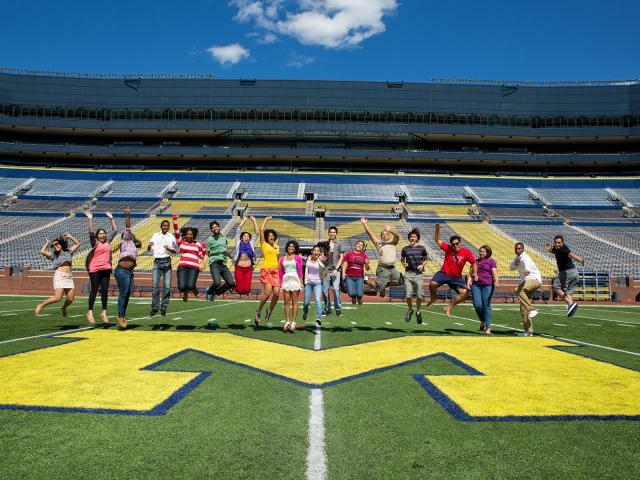 If you have a newly diagnosed condition, email housing@umich.edu by NOON January 16th for further instructions. If you are in an MLC, speak to your program staff about available space in the community and follow the returning resident process indicated by your community. If you are returning to the RC, second-year students are required to live on campus. You will receive an email with a selection time on January 22. This time slot is the only opportunity you will have to select your own room. If you are a returning second-year RC student and you do not select a room, you will be assigned a room. Students wishing to live in the Second-Year Experience Theme Community in Stockwell should indicate interest by choosing a room in Stockwell. Learn more about Theme programming, expectations and the Second-Year Experience by visiting the Second Year Experience page.